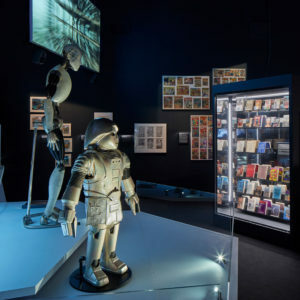 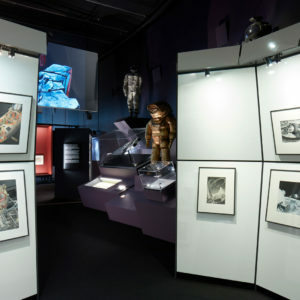 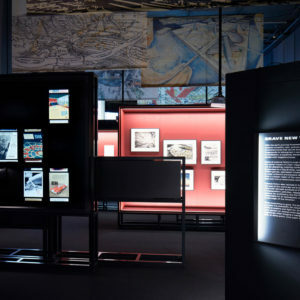 Brief: To create an exhibition design that would open up the literature and classic narratives of science fiction to a broad audience, taking an expanded survey across music, film and contemporary art to present a new, global perspective on the genre and creating an immersive experience. 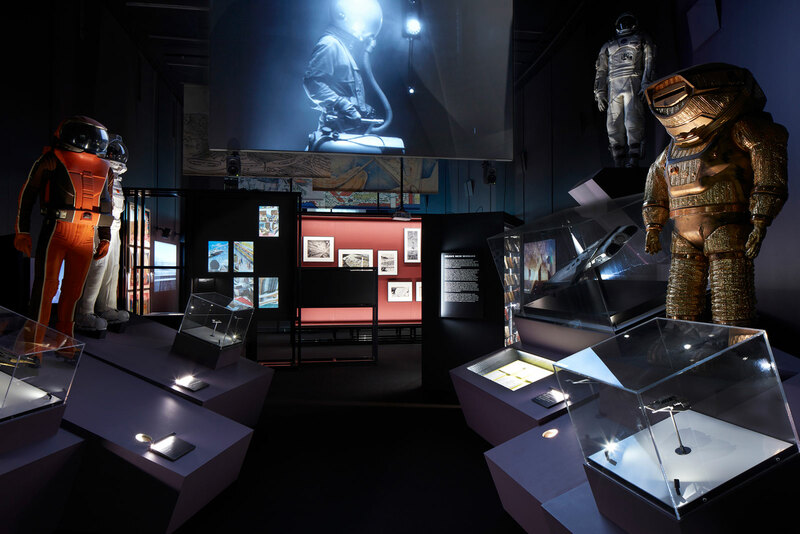 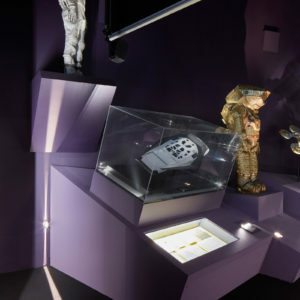 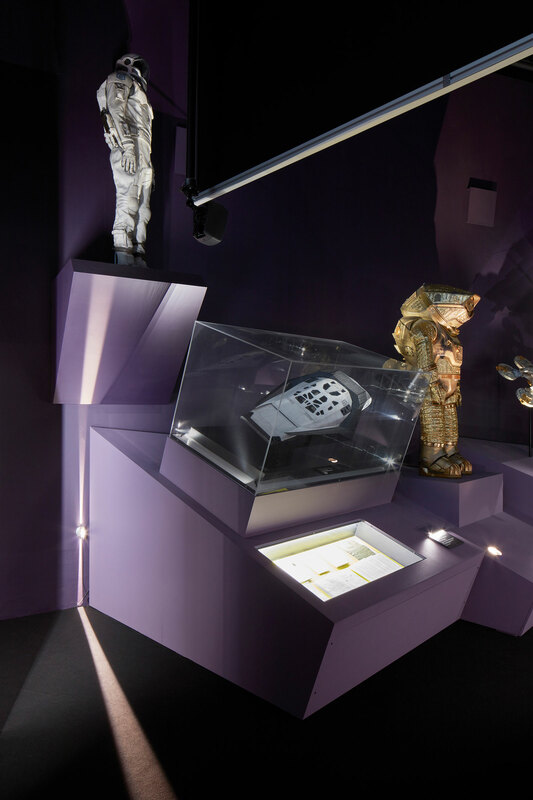 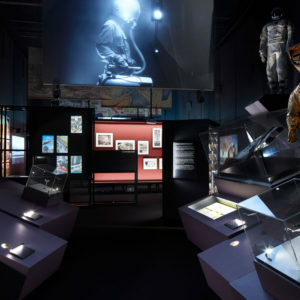 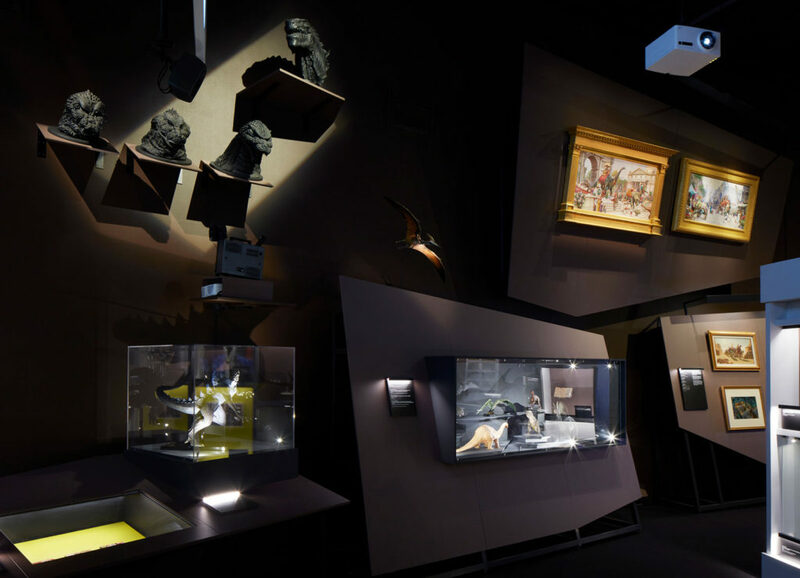 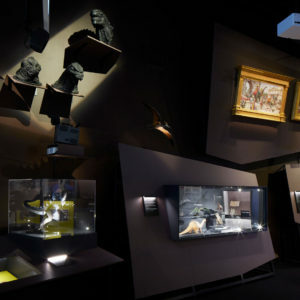 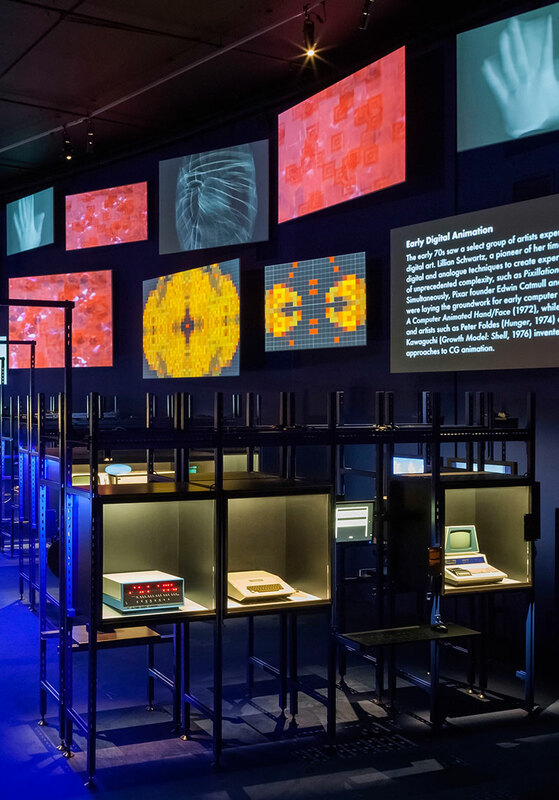 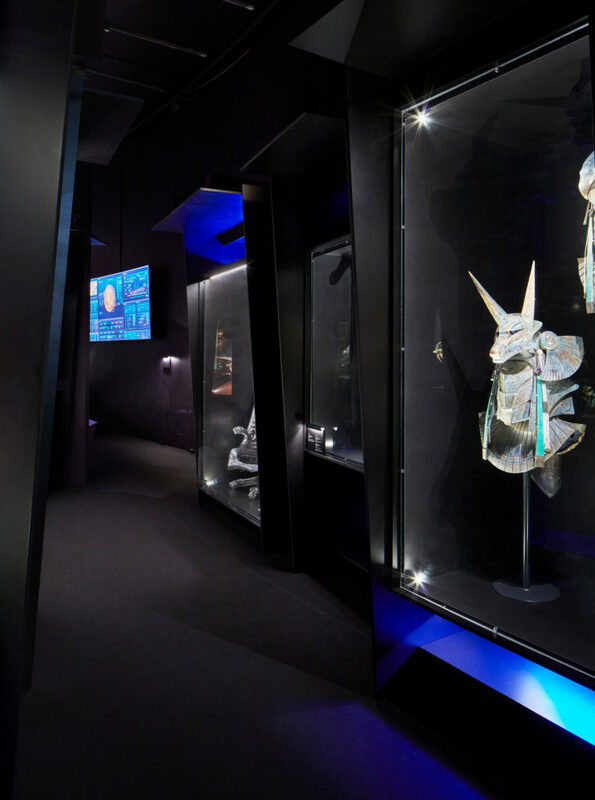 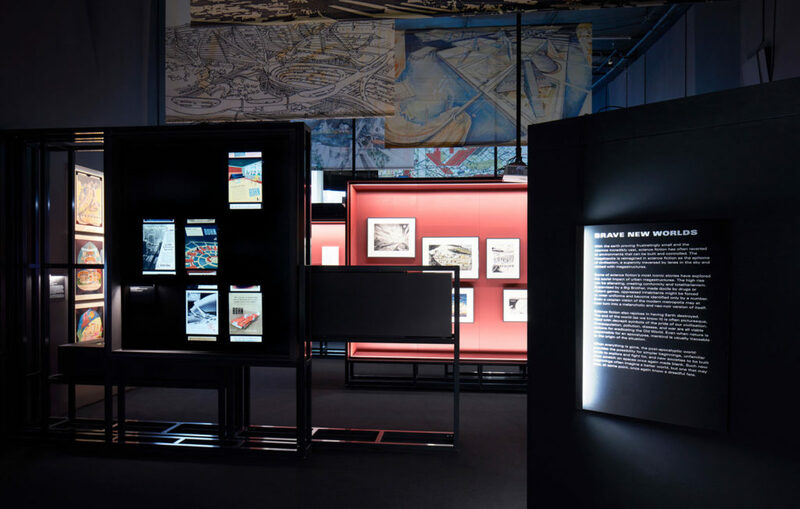 The exhibition carries through four thematic chapters: Extraordinary Voyages; Space Odysseys; Brave New Worlds; Final Frontiers travelling broadly from the 17th Century to beyond space and time. 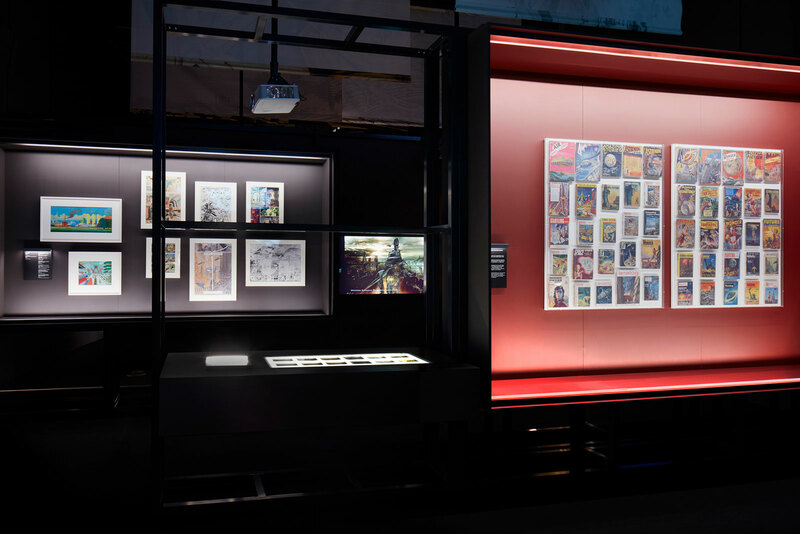 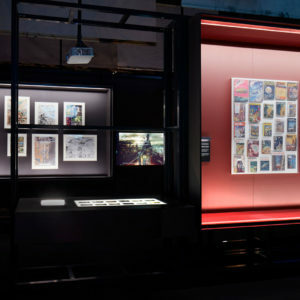 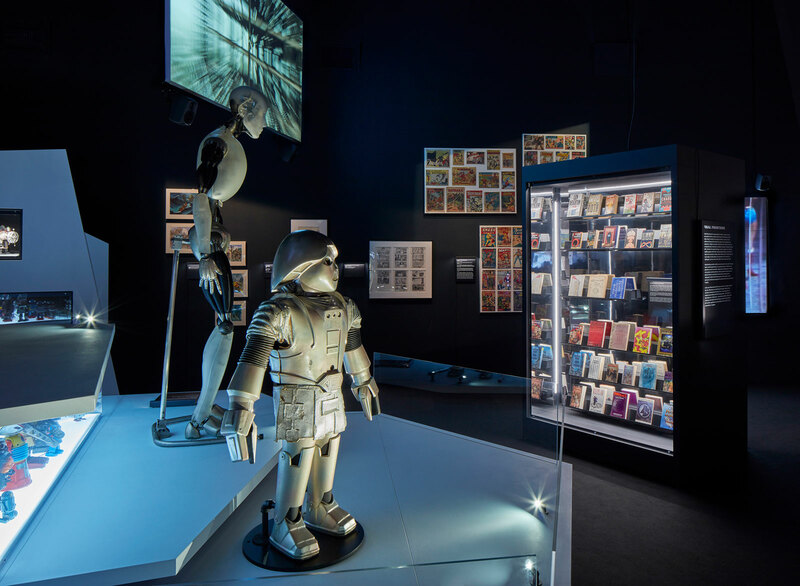 It contains in excess of 850 works ranging from books, pulps, graphic novels and manuscripts to prints and artworks, film and moving image, production material and props, models and costumes. 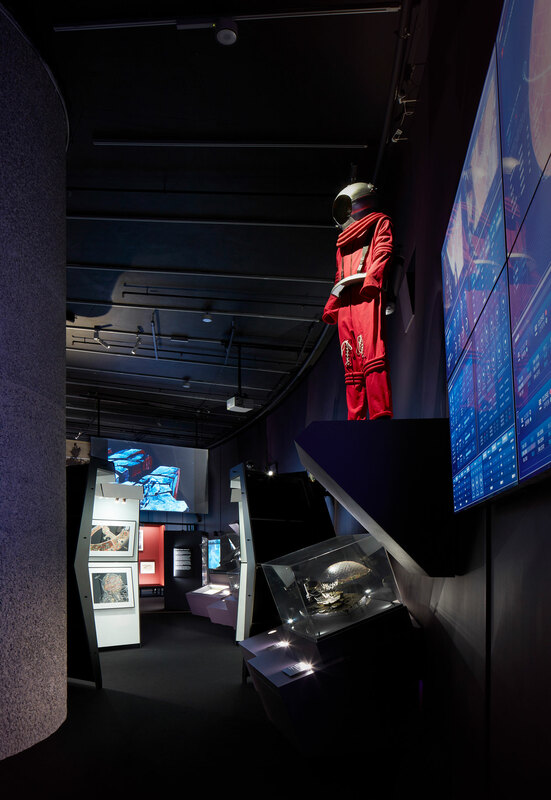 We focussed our approach on creating an unfolding landscape of science fiction, with responsive play between the content and display: allowing content to illustrate specific details whilst the scenography works to lend context, atmosphere and overall cohesion. 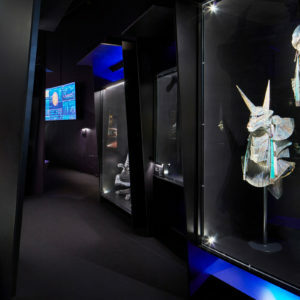 Taking cues from the world of set-design we celebrated the power of suggestion through use of scale, distortion and rendering through finishes, lighting and sound design to create a series of interconnected environments that expand and contract, taking the visitor’s gaze from wide to close and allowing for surprising, at times unsettling, readings of content. 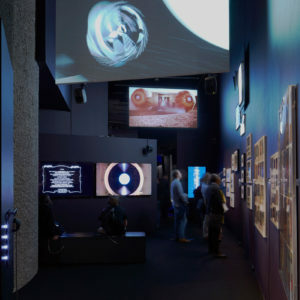 ARD worked closely with the wider design team – Harmonic Kinetic (Media), Praline (Graphic) and Studio ZNA (Lighting) – to create fully integral displays that allow for intimate and focussed content presentation, and a self-contained display system for touring to future venues of varying infrastructure. 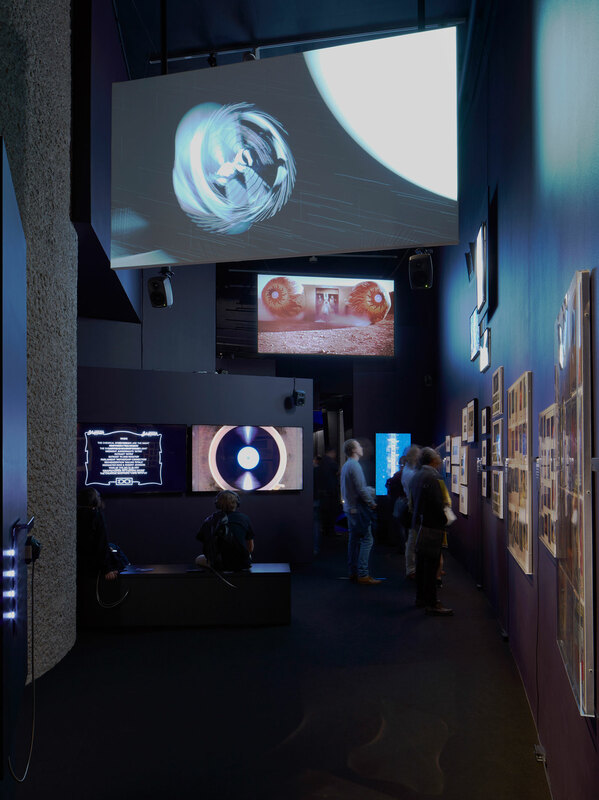 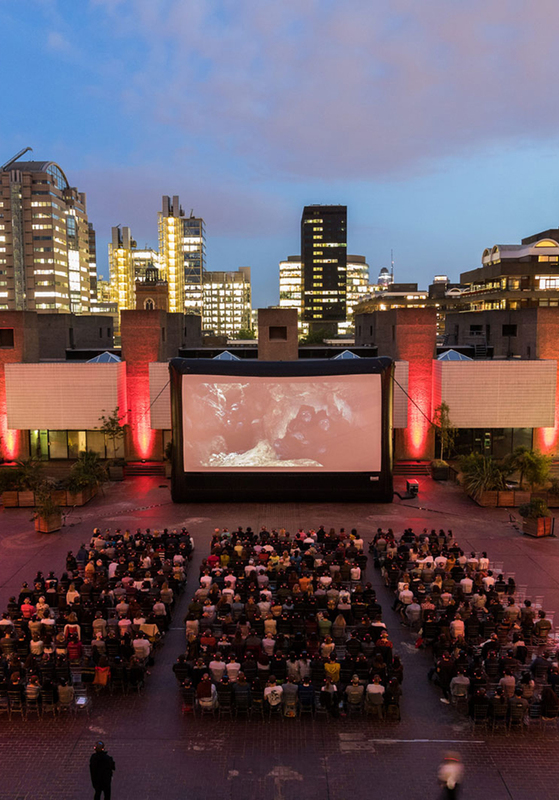 The exhibition expands beyond the 700m2 Curve Gallery to activate foyers and ancillary spaces of the Barbican through a number of large-format artist works and special commissions that respond to the themes of the exhibition. 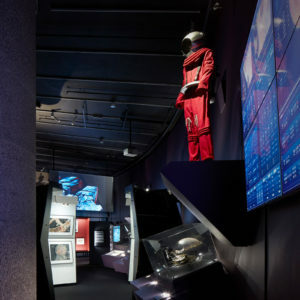 ‘Into the Unknown: A Journey Through Science Fiction’ has been guest-curated by Patrick Gyger, director le lieu unique, Nantes, and co-produced with Brandts – Museum of Art & Visual Culture, Denmark and Onassis Cultural Centre, Greece. 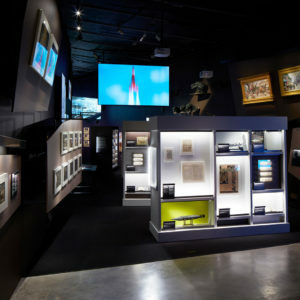 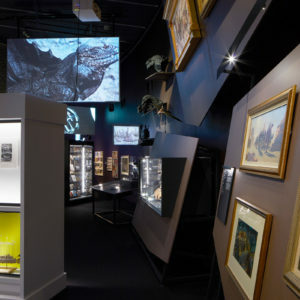 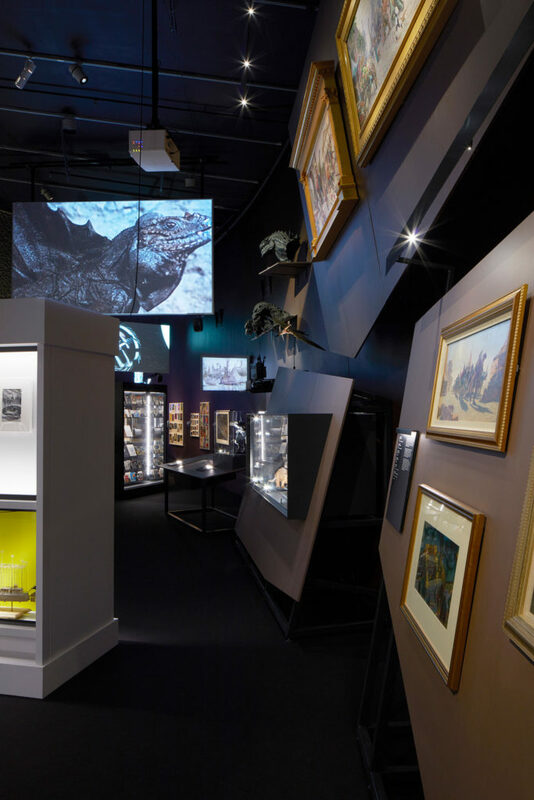 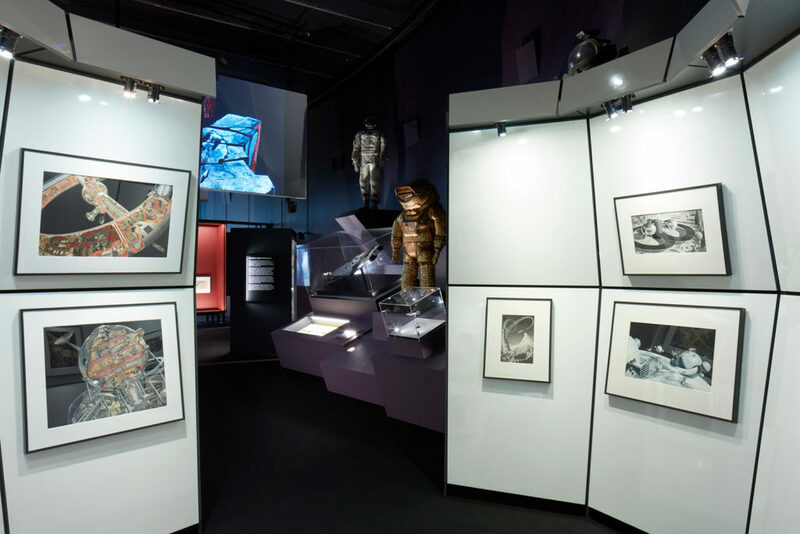 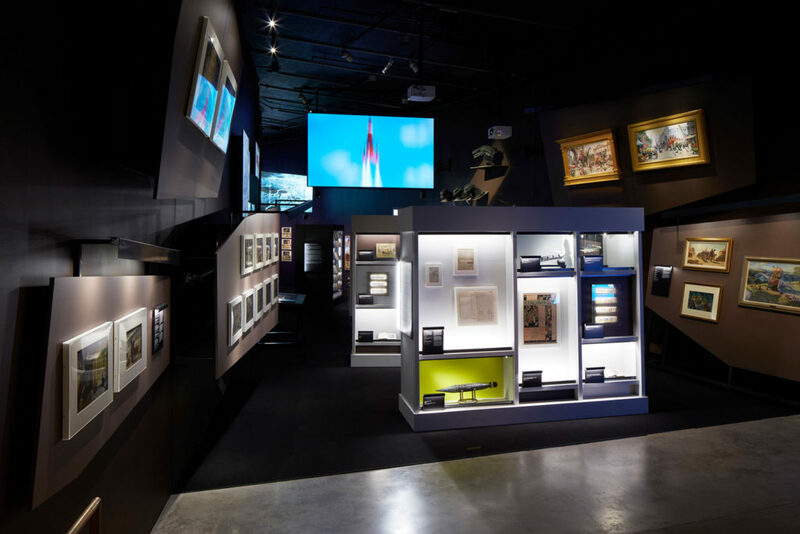 Objects have been loaned from esteemed collections of The Paul G. Allen Family, Musée Jules Verne, Ray and Diana Harryhausen Foundation, Paramount Archives, Warner Bros. Corporate Archive, Weta Workshop and the personal archives of Patrick Tatopoulos.